Awarded to an individual for dedication to advancing his or her chosen field and making a significant impact in our world. 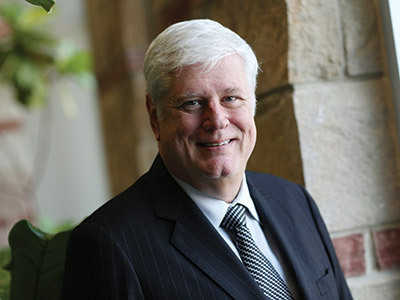 Robert “Bob” Pryor played a crucial role in the 2013 merger of the Dallas-based Baylor Health Care System and Temple-based Scott & White Healthcare, creating Baylor Scott & White Health. We honor his significant contributions through the presentation of the Baylor Medal of Service for Contributions to the Professions in the field of Medicine/Healthcare. Driven by the goal of getting into medical school, Bob Pryor (BS ’73) maintains he was a bookworm in college, always electing to take the earliest-possible classes. He says he has nothing but fond memories of his student experience at Baylor, noting that all of his professors were super, particularly in the biology and chemistry departments. One reason Pryor became a pediatrician was for the chance to interact with families and children. He was one of the first certified pediatric intensivists in the country and was involved in the formative years of pediatric intensive care. During his 20 years as a pediatrician, he also was recognized as a medical teacher. After two decades as a pediatrician, he took on administrative roles at St. Joseph’s Hospital and Medical Center in Phoenix, Ariz. and earned an MBA from Arizona State University. Thirty-five years after beginning his medical journey as a teenager working in the Pathology Department at Scott & White, Pryor returned to the hospital as chief medical officer. Two years later, he added the role of chief operating officer. In 2010, he became CEO and president of Scott & White Healthcare. The 2013 merger of the Baylor Health Care System and Scott & White Healthcare created the largest not-for-profit healthcare system in Texas and among the largest in the U.S. Known for exceptional patient care for more than a century, the two organizations served adjacent regions of Texas and operated on a foundation of complementary values and similar missions. Today, Baylor Scott & White Health includes 43 hospitals, more than 500 patient care sites and over 6,000 affiliated physicians. In 2010, Bob and his wife, Kay, established the Robert W. and Kay Pryor Endowed Scholarship Fund to assist Baylor undergraduates. The couple have three children: Jami, Jarrod, a current Baylor student, and Jaxon. Read the Baylor Magazine story. John Lee Hancock loves a great story and from a young age fueled that passion through writing. 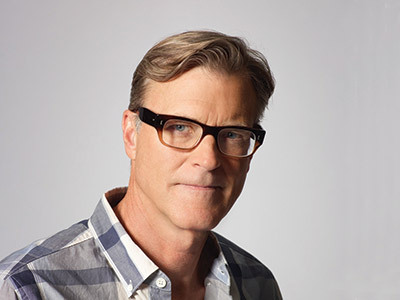 Today, he is among the most notable writers, directors and producers in Hollywood. We honor his significant contributions through the presentation of the Baylor Medal of Service for Contributions to the Professions in the field of Media and Arts. Raised in Texas City, the eldest of four children whose parents also attended Baylor, John Lee Hancock (BA ’79, JD ’82) was a member of Sigma Alpha Epsilon fraternity, played a lot of intramural sports and wrote for “The Phoenix,” a publication of the English department. Hancock loved bringing meaningful stories to life and sharing them with the world, so he majored in English. He went on to Baylor Law School in pursuit of a more viable career alternative. While working for a prominent Houston law firm after graduation, Hancock continued to write on the side. Within a few years, he decided to pursue screenwriting and moved to Los Angeles. To quell the temptation to use his legal career as a safety net, Hancock opted not to take the California bar exam. Instead, he held numerous non-legal jobs for the next several years while taking acting classes and working in local theater. This eventually led to his current career as a writer, director and producer. A screenplay he wrote in 1991 was noticed by Clint Eastwood and went on to become “A Perfect World,” directed by Eastwood and starring Eastwood and Kevin Costner. He then produced the critically acclaimed “My Dog Skip” before finding widespread recognition as director of “The Rookie,” which won an ESPY for Best Sports Movie in 2002. His most recent work includes writing the screenplay for “Snow White and the Huntsman” and directing “Saving Mr. Banks,” which was named a Movie of the Year by the American Film Institute.